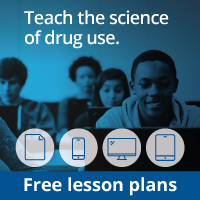 Courtesy of Partnership for a Drug Free America. We discussed many important points today. Two points, in particular, I hope you remember. One is that drug abuse and addiction affect every segment of society. That’s all of us. Everyone. Not one person is immune from the disease of addiction. These images today demonstrate that there are observable changes in brain function that take place when drugs are used. We saw that the brains of addicts are different from the brains of people who are not addicted. And it is difficult, in some cases impossible, to return the brain to normal. Scientists, like those who work at the National Institute on Drug Abuse, are working to develop treatments to help people who are addicted to drugs. But treatment, like addiction, is a complex issue.